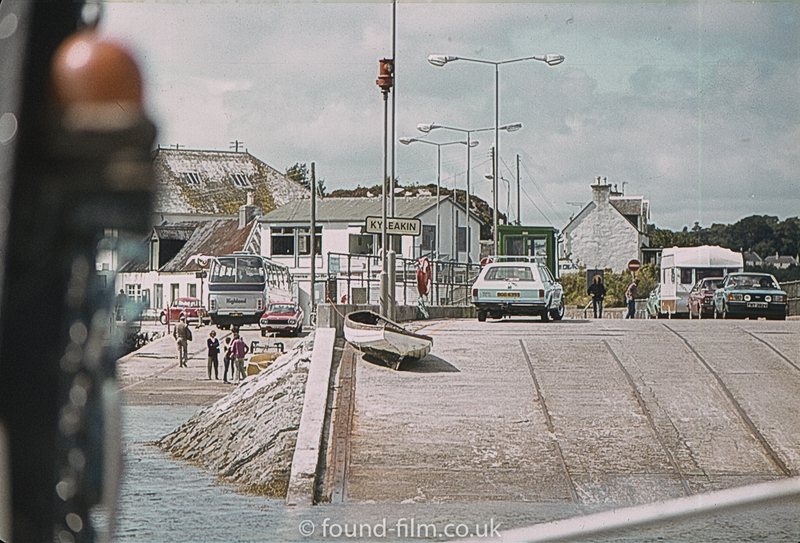 A picture of the town of Kyleakin on the Isle of Skye in Scotland, taken from the car ferry either just as it has left the Island, or is about to dock. The cars date this picture to sometime in the mid 1970s. according to the green MK5 Cortina, this pic must be late 1979 or afterwards. other cars from r to left: Vauxhall VX 4/90 (or Victor FE, Ventora) towing a caravan, MK4 Cortina Estate, Datsun 100Y and VW Beetle.